For the first time Guests booking a Package at Disneyland Paris for arrivals from 1 April 2015 will have the local tourism tax calculated and added to their bookings. The tourism tax which is set by the local authority varies from £0.36 to £1.36 (0.44€ to 1.65€) per adult per day, according to the quality and standard of the hotel. Previously the tourism tax was included in the Disneyland Paris package prices but for transparency these will now be shown separately and added to bookings. For those that book room only at Disneyland Paris and add extra people on arrival the above local tourism tax per adult per night from 1 April 2015 will need to be paid upon check in. Existing package bookings already made will not be effected by this increase. Here are February’s pin releases at Disneyland Paris, and it sees a nice mix of the old and new. With Baymax from Big Hero 6 to Stitch I think there is something for everyone next month. 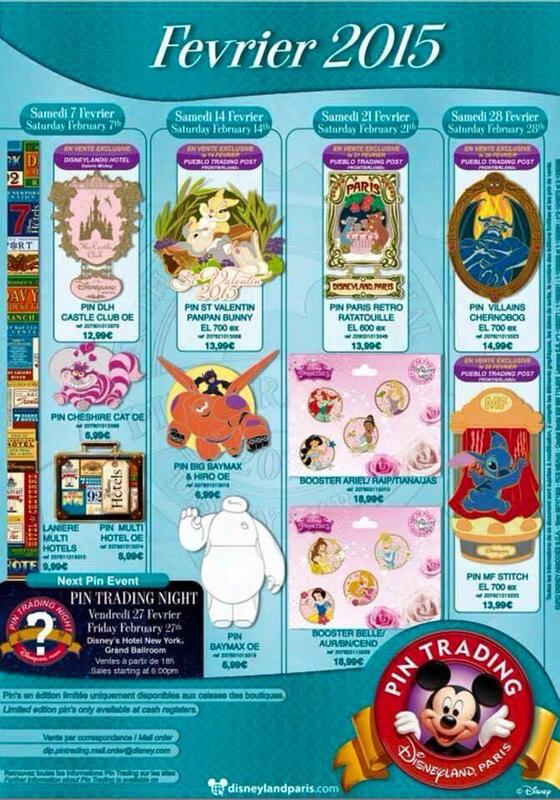 Next months Pin Trading Night will be held at Hotel New York on the 27 February at 6 pm. 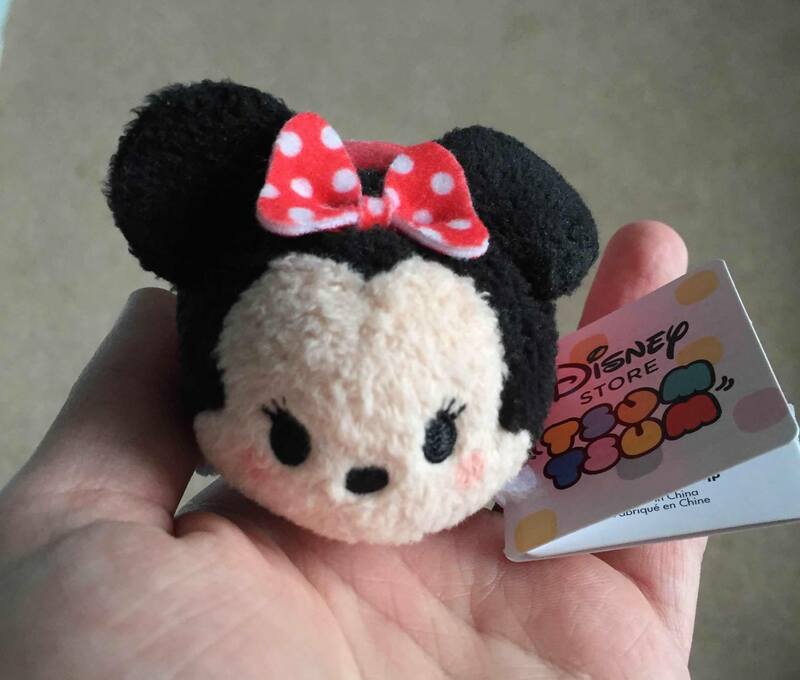 Win a Minnie Mouse Tsum Tsum! Disney fan Sam Frost is doing some research on how people plan their Disneyland Paris holidays. Sam who is a website developer by trade is investigating the possibility of creating a website that will allow people to create itineraries to help plan their trips. The on-line survey can be found at https://samfrost.typeform.com/to/bgHrP8 and as an incentive for taking park, one lucky person who completes the survey will be randomly selected to win a Minnie Mouse Disney Tsum Tsum. A Frozen summer awaits at Disneyland Pairs. It’s official: From 1 June to 13 September 2015, Disneyland Paris will celebrate Frozen, the 5th highest- grossing film ever, premiered on 19 November 2013 and the biggest animated film of all time globally, making over $1.2 billion at the box office. Winner of two Academy Awards®, five Annie Awards, two Critics’ Choice Awards, a Golden Globe Award and a BAFTA, the movie tells the story of a fearless princess Anna who sets off on an epic journey with her companions Olaf and Sven to find her estranged sister Elsa, whose icy powers have inadvertently trapped the kingdom of Arundel in eternal winter. The famous Disney sisters will be back with their adorable snowman Olaf to cool things down this summer. After catching a sneak peak of them in the famous Disneyland Park Parade and meeting them to pose for pictures this Christmas, Disneyland Paris guests will be able to sing with them this summer! Anna and Elsa will appear on stage in the Chaparral Theater located in Frontierland that will be transformed into a winter wonderland inspired by the film. They will offer guests the chance to join them in singing the best songs from the most successful Disney story of all time. For the second consecutive year, after a first successful edition, Disneyland® Paris is to launch a colourful Spring festival, providing the opportunity to celebrate flower power and awaken guests’ senses. Get ready for new musical shows, even more flower-filled scenery and Disney Characters all wearing their most beautiful Spring costumes specially made by the Disneyland Paris Sewing Workshop. New: “Goofy’s Garden Party” will be the big must-see event. The Disney Characters parade before guests’ very eyes in a celebration of nature with lively music and blooming flowers. Goofy, surrounded by his assistant gardeners and playing the perfect Host, will set the pace swinging and present his all-new creations: magnificent topiaries that guests will love. A perfect moment that’s guaranteed to brush away the cobwebs with Mickey and Minnie, Donald and Daisy, Chip and Dale, but also Alice, Pinocchio, Clarabelle Cow and many others. Rapunzel, the Disney Princess who receives the healing powers of a magical flower, will be at Disneyland Park to welcome guests with a colourful springtime greeting. It’s an occasion for smiling happily and sharing unforgettable moments. Dreamers of all ages will rediscover their favourite Disney heroes in surroundings that are more flowery than ever before. Specially for Spring, Central Plaza will be transformed into an enchanted garden with magnificent topiaries in the shape of the 101 Dalmatians, Simba and Nala (The Lion King), the Aristocats, and Bambi and his friends. Amazing works created by artists from the park’s Nature and Environment department. Their mission is to immerse guests in a life-size dream world. Many other iconic places will be transformed into real flower theatres. Indeed, if Disneyland Paris were a garden, it would be the largest in Europe, with no fewer than 35,000 trees, 450,000 bushes and more than a million flowers planted each year. This was all it took to inspire Disneyland Park to offer a new sensory experience for Spring featuring floral and musical transformation. Resort revenues increased 12% to € 341 million. On January 16th, Euro Disney S.C.A. reported revenues for the first quarter of the fiscal year 2015. The resort revenues increased 12% to € 341 million, due to higher resort volumes as well as an increase in average guest spending in theme parks and hotels, reflecting the Group’s continued focus on improving its offerings and guest satisfaction. Resort operating segment revenues increased 12% to €341.3 million from €304.9 million in the prior-year period. Theme parks revenues increased 14% to €197.5 million from €172.9 million in the prior-year period due to a 9% increase in attendance and a 5% increase in average spending per guest. The increase in attendance was due to more guests visiting from France, the United Kingdom, the Netherlands and Belgium. The increase in average spending per guest was due to higher spending on admissions, merchandise and food and beverage. Hotels and Disney Village revenues increased 10% to €134.8 million from €122.4 million in the prior-year period due to a 4.6 percentage point increase in hotel occupancy, higher Disney Village activity and a 3% increase in average spending per room. The increase in hotel occupancy resulted from 24,000 additional room nights sold compared to the prior-year period, due to more guests visiting from the United Kingdom and France as well as more business group activity. The increase in average spending per room resulted from higher daily room rates and higher spending on food and beverage, partly offset by lower spending on merchandise. Other revenues decreased by €0.6 million to €9.0 million from €9.6 million in the prior-year period. Real estate development operating segment revenues decreased by €1.2 million to €0.2 million, from €1.4 million in the prior-year period. This decrease was due to an additional revenue on a land sale received in the prior-year period. Given the nature of the Group’s real estate development activity, the number and size of transactions vary from one year to the next. “The increase in our resort revenues this quarter is encouraging and is due in part to our strategy of investing in the quality of the guest experience. We saw growth in all our key indicators, including attendance, notably at the Walt Disney Studios Park where we recently opened the well-received Ratatouille: L’Aventure Totalement Toquée de Rémy attraction, and guest spending. We remain confident in our long-term strategy, but we are still cautious for the remainder of this fiscal year in light of continued economic softness in European markets. During the First Quarter, the Group received a €24.5 million fee for the termination, before the contractual term, of a lease agreement signed in 2001 with Disney Channel France S.A.S. related to office space located in the Walt Disney Studios® Park. This amount was recorded in the consolidated statements of income in other income. On January 14, 2015, the Company announced the launch of the share capital increases, proposed within the framework of the recapitalization and debt reduction plan of the Group announced on October 6, 2014. These transactions were approved by the Company’s shareholders on January 13, 2015 and the prospectus relating to these transactions was approved by the Autorité des marchés financiers on January 14, 2015. The recapitalization and debt reduction plan totals approximately €1 billion and will improve the cash position of the Group, reduce its indebtedness and improve its liquidity through interest savings and deferral of amortization of borrowings. The transactions pertaining to the recapitalization and debt reduction plan are expected to be completed in the first semester of calendar 2015. For more information, please refer to the press release issued on January 14, 2015 and available on the Group’s website. 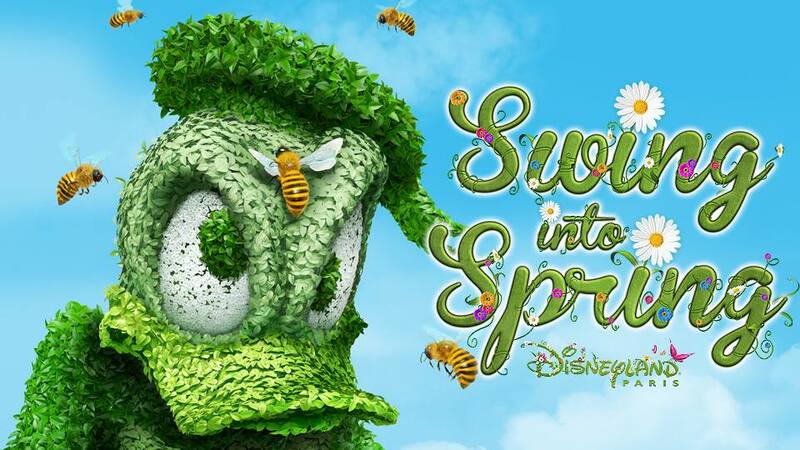 Starting in March, Disneyland Paris will again launch a three-month spring festival celebrating nature and the awakening of a new season. The Disneyland® Park will be transformed into a floral garden with brand new musical performances to give our guests the ultimate springtime experience. Author Salon MickeyPosted on January 18, 2015 January 18, 2015 Categories UncategorizedTags Euro Disney S.C.A. The Euro Disney S.C.A. Shareholders Club published the following announcement today. In a constant concern to better meet members expectations, to bring a quality service, relevant information on the Company and to preserve equity for the existing members, Euro Disney S.C.A.’s Shareholders Club announces the suspension of new memberships (new shareholders) as of Thursday, January 15th, 2015, for at least the implementation period of the recapitalization. The future of the Shareholders Club is not affected by this operation. All current members of the Club will remain members afterwards. The advantages and services will be identical. After this period of suspension, an analysis on the threshold of the minimum quantity of shares to be held by the new members will be led before the coming into force of new membership criteria and/or new general conditions (terms) of the Shareholders Club.